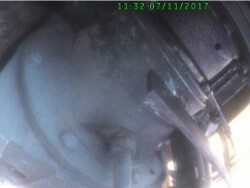 During the inspection, a few bolt holes of the aluminum oil cooler have been rotated. 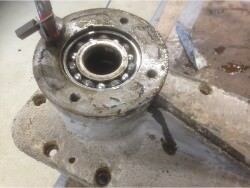 This was solved on the spot by providing all four bolt holes with Helicoils. 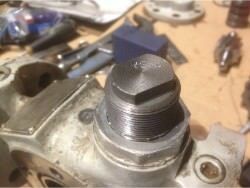 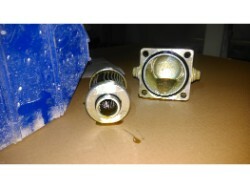 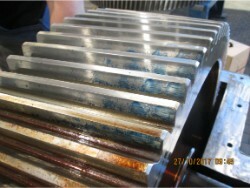 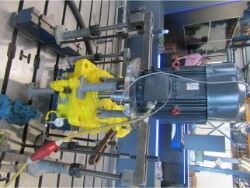 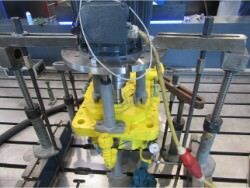 The oil cooler was then tested by raising the water pressure again, no leakages were observed. 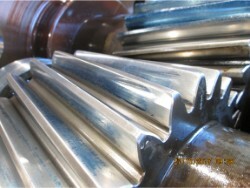 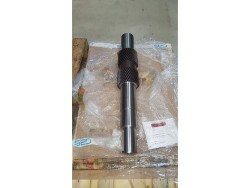 - Adjust the axial clearance of the flexible coupling correctly. 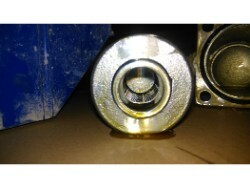 All white metal bearings and shafts are badly damaged. 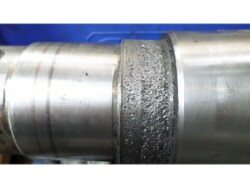 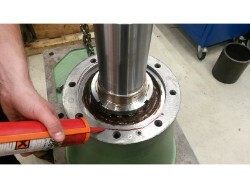 The cause for this is; the lubrication between the shaft and the bearing was inadequate. 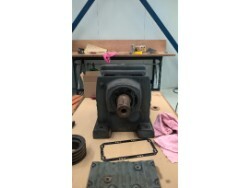 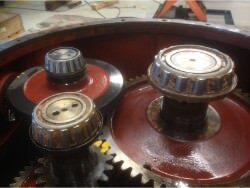 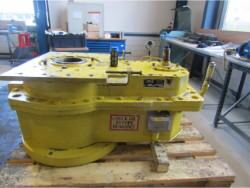 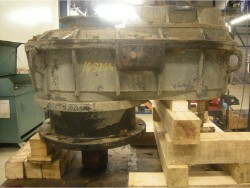 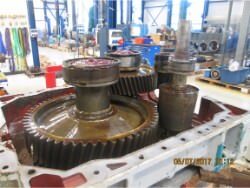 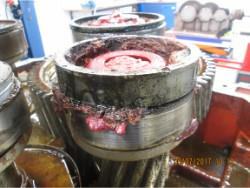 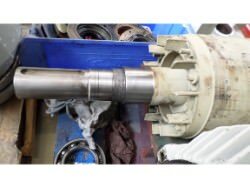 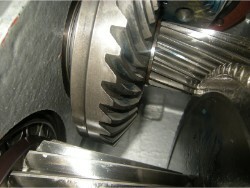 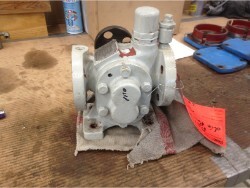 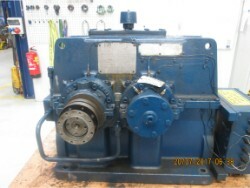 We performed an inspection and repair on a EKATO gearbox. 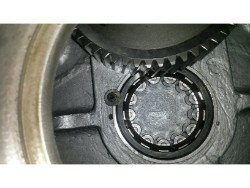 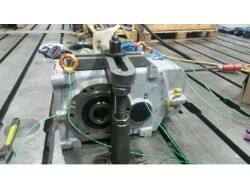 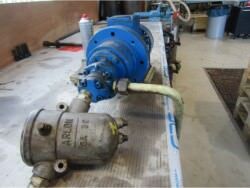 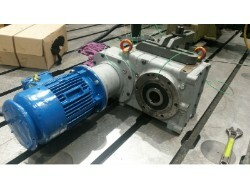 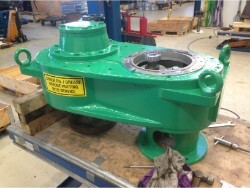 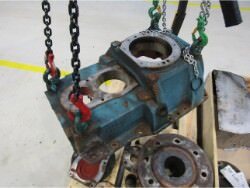 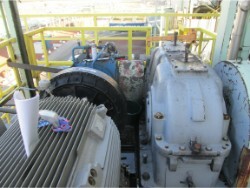 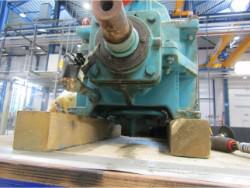 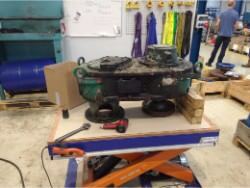 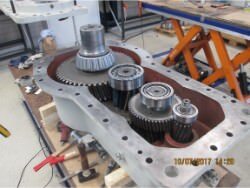 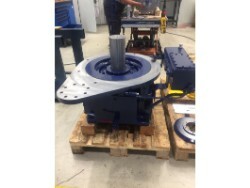 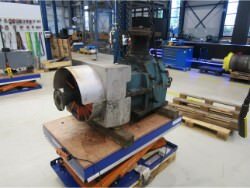 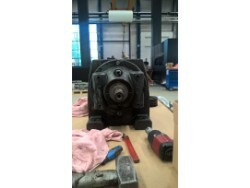 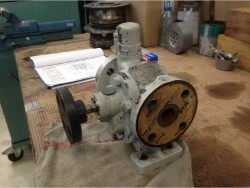 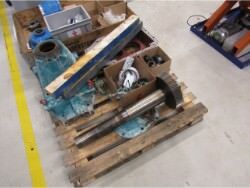 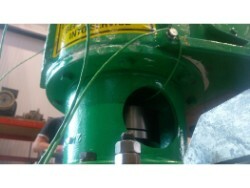 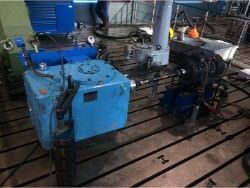 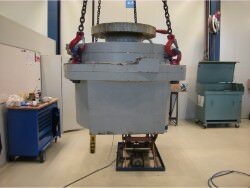 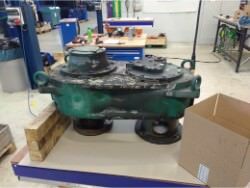 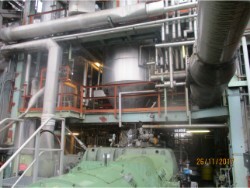 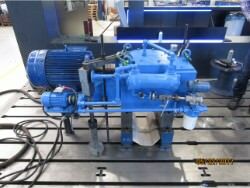 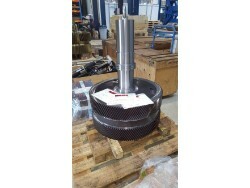 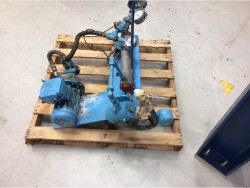 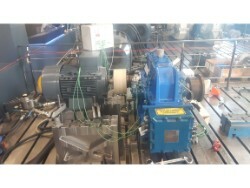 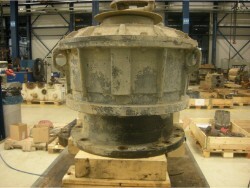 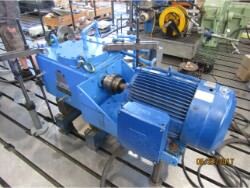 We performed an inspection and repair on a gearbox HANSEN QVRE2X-CUN.